Make red wine more flavorful with this Southern Homewares wine aerator. Open a bottle of your favorite vintage, pour the wine through aerator, and enjoy! The aerator fully oxygenates the red wine to bring out the full aromatic bouquets and those complex flavors that makes a good glass a wine good. Make red wine more flavorful with this Southern Homewares wine aerator. Open a bottle of your favorite vintage, pour the wine through aerator, and enjoy! The aerator fully oxygenates the red wine to bring out the full aromatic bouquets and those complex flavors that makes a good glass a wine good. 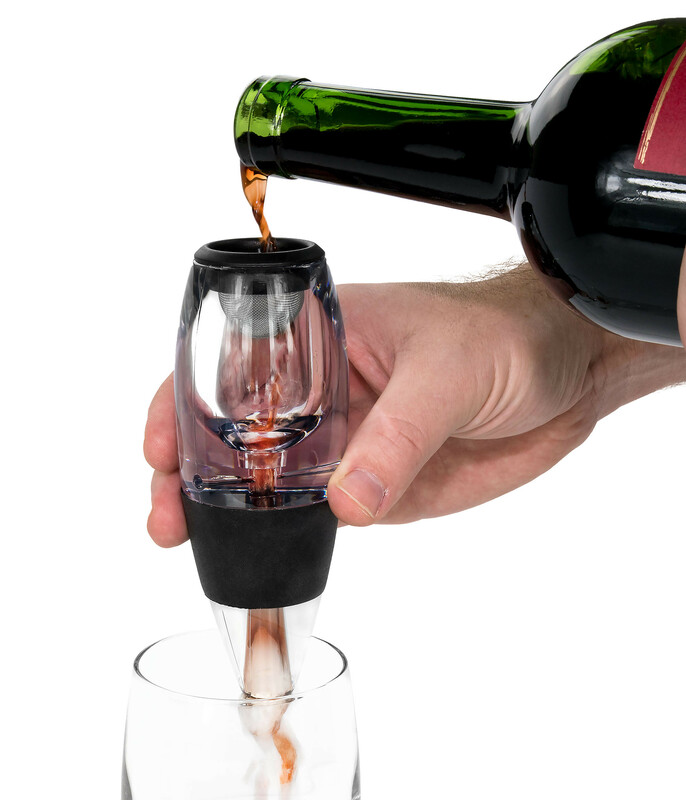 Aerator also has a removable mesh screen to collect any silt when pouring from the bottom of the bottle. Made from FDA-approved materials and comes with aerator stand. Aerator comes in a full color giftable box. Aerator dimensions are 2.13" in diameter at the widest point and 5.68" tall. Overall dimension when on the stand are 2.67" x 2.20" x 5.88"